Edimax 802.11n Wireless PCI Card is a Network Adapters hardware device. This Windows driver was developed by Edimax Technology Co., Ltd. PCI/VEN_1814&DEV_0701&SUBSYS_77271432 is the matching hardware id of this device. 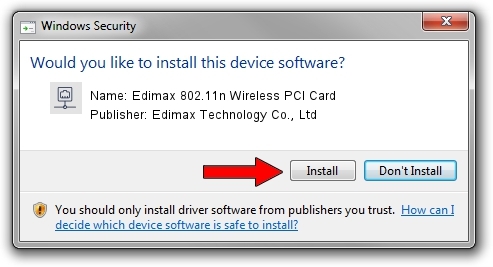 Download the driver setup file for Edimax Technology Co., Ltd Edimax 802.11n Wireless PCI Card driver from the link below. 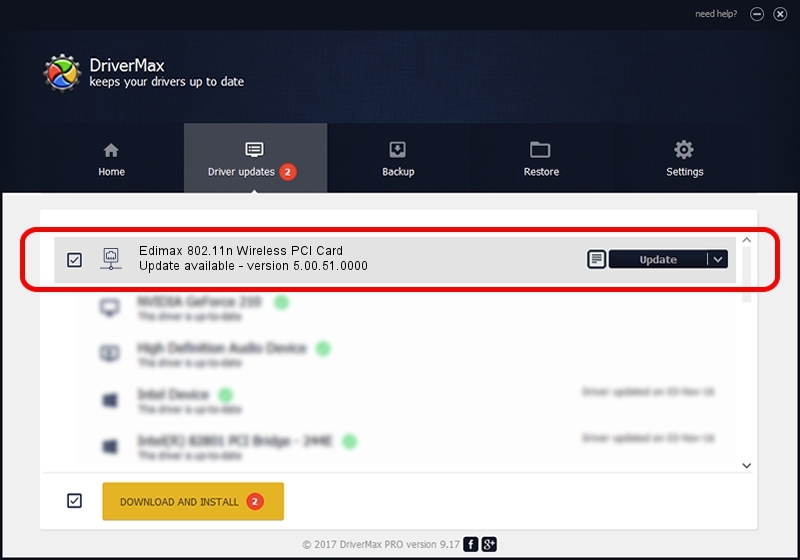 This is the download link for the driver version 5.00.51.0000 dated 2014-09-24. Driver rating 3.5 stars out of 4329 votes. Take a look at the list of driver updates. Scroll the list down until you find the Edimax Technology Co., Ltd Edimax 802.11n Wireless PCI Card driver. Click on Update.